Iran’s Foreign Ministry spokesman has expressed Tehran’s support for the legal transition of power in Kazakhstan. “The current changes and developments in the Republic of Kazakhstan as well as transition of power have taken place within the framework of the country’s Constitution, and, hence, we support them,” Bahram Qassemi said in a Wednesday statement. 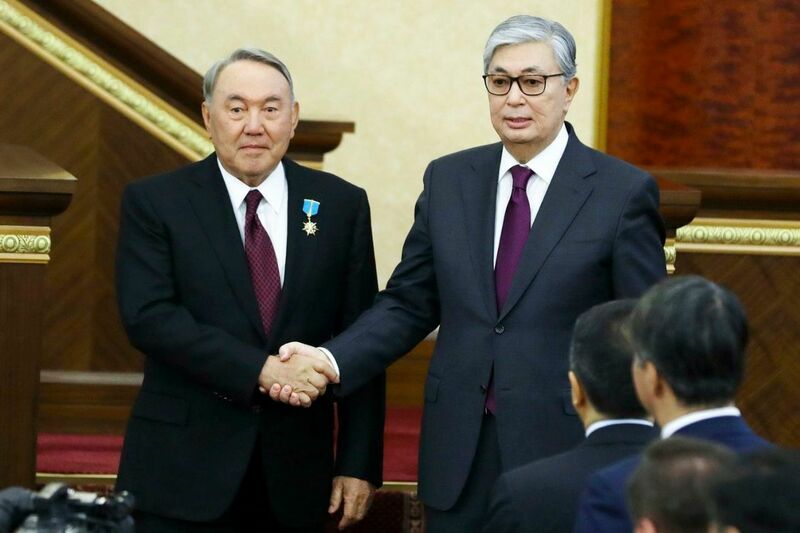 “We also offer congratulations to and wish success for Mr Kassym-Jomart Tokayev who will take over the responsibilities and duties of the Kazakh president after the resignation of Mr Nazarbayev and until the next elections,” he said. “We are confident that friendship and fraternity between the Iranian and Kazakh nations and governments will continue like before,” said Qassemi. “Like many regional countries, the people of Kazakhstan celebrate Nowruz, too, and it is part of this country’s culture and customs and traditions; therefore, I take as good omen the coincidence of Mr Nazarbayev’s decision [to step down] with the arrival of Nowruz, which marks a change in nature, and I wish the Kazakh nation and government further prosperity, peace and welfare,” said Qassemi. Tokayev was sworn in as Kazakhstan’s president following the unexpected resignation of veteran leader Nursultan Nazarbayev. Tokayev will serve as the country’s interim president for the rest of the term which ends in April 20-20. In his inauguration speech, Tokayev promised to continue the policies of Nazarbayev. He said Nazarbayev’s opinion will have priority in making strategic decisions. The former prime minister also proposed that the capital, Astana would be renamed to Nursultan. Nazarbayev, resigned late on Tuesday after three decades of holding the office.